When I moved to Atlanta in 2011, I quickly learned that my new home was not as pedestrian-, bicycle- or transit-friendly as the New Jersey and Massachusetts suburbs of my youth. Much of the Southeast is only accessible by car, even in thriving and active Greenville, South Carolina. I want to be a part of shaping a more accessible, healthy and equitable region. Diane is a Civil Engineer-in-Training with experience in greenway design, site development, stormwater management, estimating and construction. 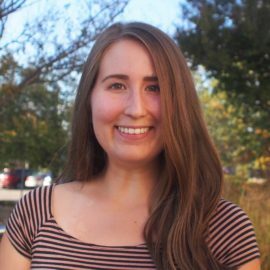 By focusing on innovative, cost-effective and constructible designs, she is interested in developing active transportation and recreation facilities in communities across the Southeast and beyond. Diane graduated in 2015 from the Georgia Institute of Technology with a BS in Civil Engineering and a minor in French.